Finally I am allowed to let you know what Lizzy and I have been planning in the background for quite a while now. I’m happy to announce that Lizzy Siddal from Lizzy’s Literary Life and I are co-hosting a German Literature Month in November. Ever since Iris from Iris on Books hosted her Month of Dutch Literature it’s been on our minds to do something similar for the literature of the German-speaking countries. We both share a passion for the literature of Austria, Germany and Switzerland and hope to find many like-minded and interested people to join us. 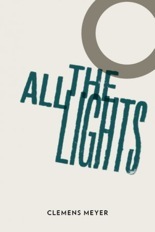 We have prepared a programme, including two readalongs and a lot of giveaways that generous publishers like Melville House, Bitter Lemon Press, Pereine Press, And Other Stories, Portobello Books and One World Classics have kindly contributed. The giveaways are international with the exception of a few which are UK only. The official kick off will be on November first, from then on we will post on alternating days. Lizzy will post on Tuesdays and Fridays, I will post on Mondays and Thursdays. Wednesdays, starting already in October, are reserved for giveaways. The readalongs will take place on Saturdays. Sunday will be weekly wrap up day and the time for announcing the winners of the giveaways. The first readalong is dedicated to Effi Briest. It will run for three weeks. Details and exact dates are given below. The second readalong is my monthly Literature and War Readalong that I will shift to Saturday and I have also changed the previoulsy announced title. We will read Heinrich Böll’s The Silent Angel. This book is unique for reasons that I will reveal in a later post. On a more personal note it is important to me as Böll is my favourite German author. Maybe you like Thomas Mann or you are a fan of Genazino. Now’s the time to share this. There are a lot of crime novels written in German out there. Whether you like it gritty or rather go for psychological suspense, you are sure to find something. You could either read some of the 19th century Swiss classics like Gotthelf, Keller or Meyer or finally read the Roths and Zweigs you have had on your TBR pile for years. Kleist died 200 years ago. We are going to read some of his novellas and give away some of his books but we will also read other classics. Wrap up week is a chance to read and review whatever you like. I’ll go for something that hasn’t been translated yet. These are some of the possible titles for the giveaways. The exact titles will be announced on the giveaway days. We will post a few times in the upcoming weeks sharing reading suggestions, as we hope that many of you will read and review with us. The idea is that you link your posts in the comment sections of our posts. The Sunday will be wrap up day in which we will give an overview of everything that has happened through the week. Get your copies out, enter the giveaways, or buy a few books and join us. Feel free to use the button and spread the word. I’m looking forward to November. Visit the German Literature Month Page for regular updates. My October looks full, but November… well you never know. This looks very promising. I loved Effi Briest, and I just bought a copy of the Silent Angel. Plus all those German crime possibilities….. I hope you can join for the one or the other readalong title and review whatever crime fction you find. There will be a few crime titles as giveaways that might interest you. Ok so how does this work? I read the same thing or something else? Basically anything you like and it doesn’t even matter if you stick to our programme. Some people on Lizzy’s blog already said they will read crime fiction but during another week. Only if you wanted to read Effi Briest and/or The Silent Angel it would be nice if you joined the readalong. We are not very strict. This looks very well thought out. I will have to step up next time with Dutch Lit month! Sounds great, really. I hope to participate, of course. Thanks, Iris, we would be glad to have you join. I’m glad we are co-hosting. It’s quite a lot of work on your onw. You did so well. I have to admit that I am not too familiar with German literature. I look forward to learning more about it. I hope you will discover a few books that will tempt you and who knows you might win one. Very fun idea! I am sadly remiss when it comes to German literature, so this may be just what I need. Thanks. I hope it will be fun! It would be great if you cloud join. I’m sure you will discover books you will like. Thanks. Hope you will join as well. Great project ! Very tempting, I know almost nothing about German literature. I can’t commit to participate as I’m not sure I can keep up with such a tight schedule. Don’t count me in but I’ll try to join you. Thanks Emma. It would be great if you join. You can also only read one book and review and link. You don’t have to stick to the “rules”. That’s more for us, to organize a bit. In the end it’s like Iris’ Dutch Literature Month – you choose what you read and let us know then you will be mentioned in the weekly wrap-up. I thought I had to post on the right week. Ok then, it’s easier. And it overlaps my EU book tour. Time to get to German literature then!! I’m glad you will join! If someone wants to follow our programme, it’s fine as well. It’s helpful to know I can do what I want. She chooses interesting titles, I agree. If you’d like to stick to the rules you can read her for week 1 or 5. I would have thought you’d be tempted by Effi Briest. Out of the three, Anna Karenina, Mme Bovary and Effi Briest she is my favourite. I am tempted by Effi Briest. I’m drawing my list and I’ll post about it. I can’t find the Böll in paperback. I’m afraid there’s more German literature translated into English than into French. I’m trying to find the books of the covers you added, it’s not that simple. When I check, there are regularly more that have been translated into French. 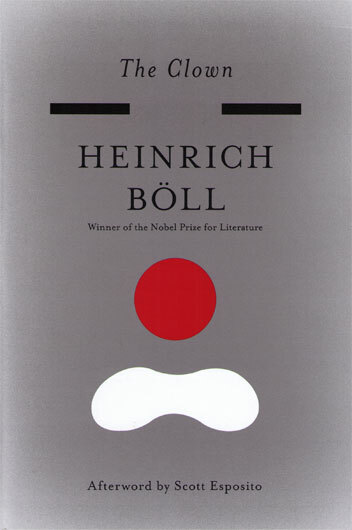 In any case Böll’s best is La grimace – Ansichten eines Clowns or The Clown in English. I should be more careful with my choice of words. “Ansichten eines Clowns” was the one I liked best. “Gruppenbild mit Dame” is his most literary. But “Der Engel schwieg” is outstanding as well. That’s great, Tony. Glad to have you on board. I’ll link your blog in a “recommendations post”. German is one of my native languages. French is the other. I’d like to finally try a Heinrich Böll and I have The Silent Angel. May also read Visitation by Jenny Erpenbeck. I hope this means, you will join us? Would be great to have you. This is great – I’ve been meaning to read more German lit for ages (many years ago I did do a degree in both French and German – just forgotten how to read German now). I’ve been wanting to read Robert Musil’s The Man Without Qualities for years, so it’s tempting to try and do that over the month. But then I do have a new Boll novel and Elias Canetti’s Auto da fe, both of which are looking at me appeallingly. Well, whatever, I’ll sort it out nearer the time, but I’m definitely in. How nice to have you join and that you like the idea. There will be loads of giveaways before we start, some UK only, your chances are good… I have all of Musil’s books but have never read Der mann ohne Eigenschfaten because it’s huge… I know I should because I know I will love it. I might re-read Die Verwirrungen des Zöglings Törless or Drei Frauen. Canetti is a wonderful writer as well and Böll anyway. Thanks, Vishy, for the kind words and I’m very glad that you will join us. You do have a lot of great choices… I like Fallada and Hesse a lot as well. I’m facing the same problem, my list is growing every day. I’m looking forward a lot. Don’t forget to join the giveaways once we start. They are open internationally with a few exceptions. I think we got quite a few books by Böll. He is such an outstanding writer. Wonderful. 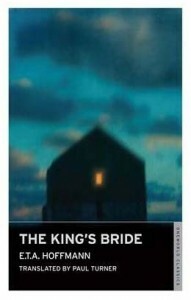 I am a great fan of German literature and have reviewed about 25 German novels on my blog. Gennazino’s Shoe Tester is one of my all time faves, and Mann’s Magic Mountain also. I look forward to watching this “month” and will participate as I am able. Thanks for the interest Tom and it would be great if you could join. I’m looking forward to your choices. I’ll make sure to mention your blog for the recommendations. There are so many wonderful authors writing in German. I wasn’t aware that Effi Briest is available for free. Thanks for letting us know. I have a copy but others might be interested. It will also be one of he giveaway titles. I was planning/hoping to read Effi Briest this year in any case, so hopefully this will help motivate me to do so! I’m sure I have a few crime novels translated from German as well–sounds like fun! Glad to have you join. I’m sure you will like Effi Briest. And there are the giveaways! I’ll try to find something available online for you. I think you could try E.T.A. Hoffmann’s The Sandman. I reviewed it for last R.I.P. That would fit the first or the classics week nicely. It’s not long, maybe 40 pages . There are some horror writers but they have not been translated. I forgot…is that Hoffmann’s Sandman an online book? I will print it later and keep it for November. Pingback: German Literature Month | Who Killed Lemmy Caution? Oh, I’m definitely signing up for the Heinrich Boll read. I’ve ordered it from the library and I will be ready! The postwar theme is right up my alley, as I’m sure you know. I haven’t read anything by Boll in decades. I was hoping you would join! Great to have you with us. I’m looking forward to re-read The Silent Angel. 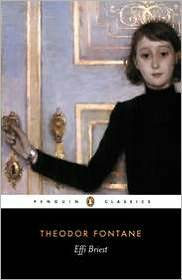 Have you read Viola Roggenkamp? I might give her a try. Seems to be a great post-war familiy story. I’ll link your blog as well in my recommendations. What I great idea! I’d love to join. I would like to read something contemporary, and already have Erpenbeck on my TBR list. How wonderful, Sigrun. Great to have you join. Erpenbeck is a perfect choice and so is Hermann Broch. I always meant to read The Death of Vergil. It’s not a book to rush through, I’m sure. I’m reading Sebald slowly. Will try to join you with at least one title, Caroline, though I’m behind on just about all of my reading commitments these days (as you know from Elsa Morante). Congrats on the wonderful response you seem to be getting so far! It’s wonderful to have you join, Richard. And thanks for the kind words. We are very happy so far, indeed. As I’ve told others before, you don’t have to stick to the rules, anything German at any time is fine and don’t forget the giveaways. There are over 30 titles and most of them open internationally. Great idea! I’d love to take part. Glad to see the Clemens Meyer book on there – I read that one a week or two ago and enjoyed it, although I haven’t got around to reviewing it yet. I had to read quite a bit of German literature at school for my A-levels and to be honest I needed a break for a while after that, but am enjoying getting back to it now. Looking forward to November! That’s great news, Andrew, glad to have you join. We are excited and every day a bit more. The response from the publishers is incredible, they are so generous. We will be giving away far over 30 books. Since you live in the UK you have even more opportunities as some of those Lizzy will give away are UK only. I haven’t read Clemens Meyer yet although he has been on my radar for a while. I’m a native German speaker, so the case is different for me but I can imagine A-level preparations could dampen the enthusiasm about a language. This comes at the right time. I have got Hotschnig on my TBR pile so I will keep him there until week 3 in Nov. Not much other German lit on my shelves, though. Erpenbeck was a DNF for me, I am sorry to say. Thanks for visiting and how great that you are joining. I started Erpenbeck a few times but never got into it. I guess you read it in German as well? I think some German authors are easier in translation. read it in German, yes, but it was not so much the style (even though it was a bit too detached for my taste) but rather the very depressing subject. Talk about misery, that house has seen it in spades. I didn’t get that far. I don’t know what it was about the style that bothered me. I just couldn’t get into it but will try again. Detached is quite acccurate. Ah yes, here it is. Sounds very interesting and fun. I’ve been so bad about fulfilling my reading commitments this year that I’m a little afraid to sign up for this one. But there’s still time to decide and I am very, very tempted! It would be great to have you join. Anything at any time is fine. But I guess Antarctica cannot be beaten, should it happen by then. I will not inlude you in the participants list yet (just so you don’t feel put under pressure). Hello Liz and welcome. I’m very glad that you will join us. I’ve never been to Dresden but it’s famous. I’d like to visit it one day. These are wonderful choices. I’ll include you in the participants list right away. Hi Caroline, thanks for the invite. I’ll certainly try to join at least the Kleist week…and the Swiss / Austria week looks like one I’m ready to get going on as well. Will try to track down some German crime as well. Hi Leroy, thanks for visiting and you are very welcome. You will alos be included in the participants list. Lizzy hosts a Effi Briest giveaway today. I’ll post about it in a little while, but just so you know already. I have a hard time sticking to my choices, especially sine I live in a German speaking country… I try to avoid bookshops. There are so many new releases and Frankfurter Buchmesse is upcoming. Leroy, if you want to write long reviews about the books you selected, I ‘ll be glad to publish them as guest posts on my blog. Just let me know. I hope Leroy sees this Emma, it’s so kind of you. We will not be able to do it as our programme will be so full. I know you can’t do it. If he doesn’t see it, I’ll tell him next time he leaves a message on my blog. Hi there, I did indeed see it thanks to Emma pointing me in the right direction on Guy’s blog. So thanks again Emma, I’d love to take the opportunity. Will get in touch to arrange it with you. That’s great. I’m glad you saw it and take the opportunity to join in writing as well. That’s wonderful Priya, I’m very glad you are joining us. I’m looking forward to your list. I love to see what everyone plans on reading. This looks like a very interesting event, but I don’t think I’ll have time to get everything done, although I’ll likely be able to post some Kafka reviews during that time. Thanks, Grace. One book at any give time during the month qualifies you as participant. We are very open. Should I put you on the participants list? It would be great to have you join. Welcome on board! I’ll add your link right away. Ok. Selected my books. Ready to read. Looking forward to this one. First up: Herta Müller. Wonderful. I’ll add you to our participants page. 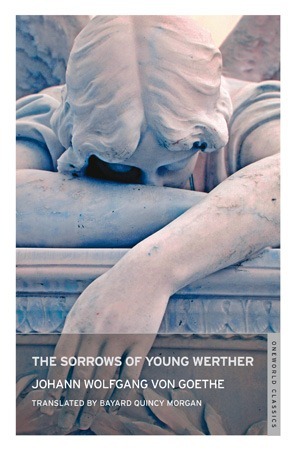 Looking foward to your Herta Müller review. I am currently reading Thomas Berhard. Great, glad to have you join. Would, if still possible, very much like to join in! OK, I’ll include this one then? Should I delete the other comment? I have a book by Irmgard Keun on the TBR pile, I’ll try to get to it this month! I’m a huge Irmagrd Keun fan. It would be great if you could review it. I’m optimistic and include you in the participants list. I was hesitant to join, given that I already have a stack of books three feet high next to the bed, but now that the challenge is under way, it seems too good to pass up. So sign me on. I have three German works on the shelf I’ve yet to read: Joseph Roth’s “The Radetzky March;” “Gert Hofmann’s “Lichtenberg and the Little Flower Girl;” and Franz Innerhofer’s “Beautiful Days.” I’ll get to at least one of them. Thanks! Thanks! And how nice to have you join. Yes, those nasty stacks… I’m afraid mine will grow a bit during the month. I’m very interested in your choices and looking forward to your reviews. I’ll add your link to the page. I’m sad that I missed week 1. I just started reading Buddenbrooks by Thomas Mann. But it looks like I can post a review during week 5. That is if I finish on time 🙂 I love the idea. Wonderful, TBM, to have you join and to have you back! I missed you. It would be great to have a review of Buddenbrooks. I don’t think anyone is reading it for this month. Thanks! I’ve missed following your blog. I’ll do my best to finish the book in time. So far I’m enjoying it! Don’t worry, if you make it, it’s great, if not, yeah well… I’ve already added you to the page. Based on your article ’14 German Woman Writers you shouldn’t miss’, I am now reading “Summerhouse, Later” by Judith Hermann. I’m about half done now. These are excellent edgy stories that are nothing like anything that I’ve read before. That’s wonderful, I’m very glad to hear you like them. I think she really is one of the great writers writing in German today. When I read her for the first time I was quite excited because her writing was so unque. If you pick another one from the list you will see they are all very different. If you like Judith Hermann, I would alos recommend the short story colletcion by Peter Stamm which I just reviewed. Hermann is more complex but he is excellent as well. I’m really enjoying your month-long event. Thanks I’m glad you like it and also thanks for the review. I just read it. You captured that book so well. thanks for offering us this great event. Thanks a lot for the links Mel and for the interest. I hope you see this – I have tried commenting on your bolg several times and something always went wrong. Sorry I haven’t been able to participate at any great capacity! Been busy and ill. Glad to see that it’s been going well, though! Hello Daryl, thanks for the review. I’ll add it to our list. Don’t worry, one review is already a nice contribution plus it is something nobody else has reviewed. I already visited your blog. I agree, it’s a great story but it alos made me feel a bit unfomfortable. The resource you added is wonderful. Thanks a lot. That’s great. I’m a huge Novalis fan. Thanks for the link.